Check in your attendees using our easy to use ticket scanning app. The most secure way to check in attendees to your event offline or online. Download your tickets before the event and check in your attendees without an internet connection. Once you regain your connection your tickets will be updated on the cloud. 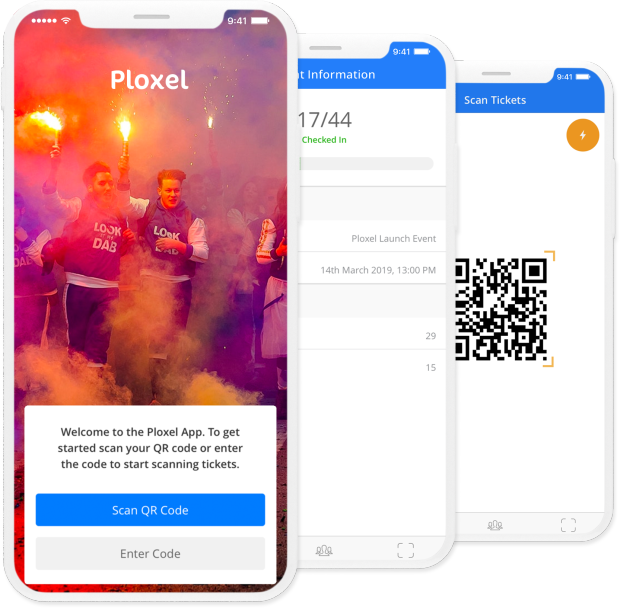 Allow multiple users to check in attendees simultaneously allowing you to have multiple staff members checking in tickets to your event - speeding up check in time. All tickets are checked with the ticket database to ensure they have not already been used to prevent attendees using tickets twice to access the event. Our ticket scanning app uses QR Codes which provides quicker and easier scanning in comparison to conventional bar codes - speeding up scanning times. If the QR Code fails or the customer forgets to bring their tickets, you can search for your attendees by their email, order number or name. Once scanning a ticket, you will see all the information for that ticket such as ticket type and any other information they entered when purchasing their ticket.